Cast iron Cleveland horseshoe trivet, 5 x 4 3/8″ w/three 3/4″ feet, circa 1900. Inauguration Day occurs in the United States once every four years, on January 20. At 12 noon today the 45th President of the United States, Donald John Trump, will be sworn into office. The Oath of Office: I do solemnly swear (or affirm) that I will faithfully execute the Office of President of the United States, and will to the best of my Ability, preserve, protect and defend the Constitution of the United States. A number of American presidents have been commemorated through the years in trivets! 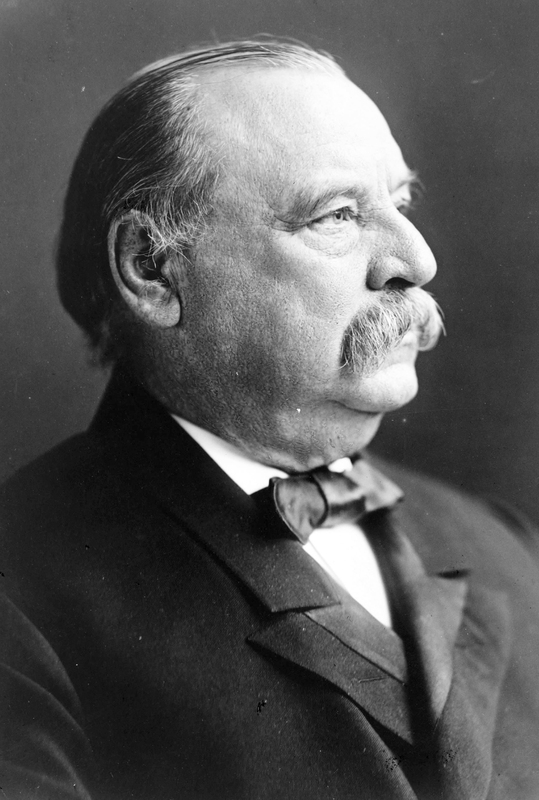 One example is Stephen Grover Cleveland, who served as both the 22nd and 24th president of the United States (1885-1889 and 1893-1897). 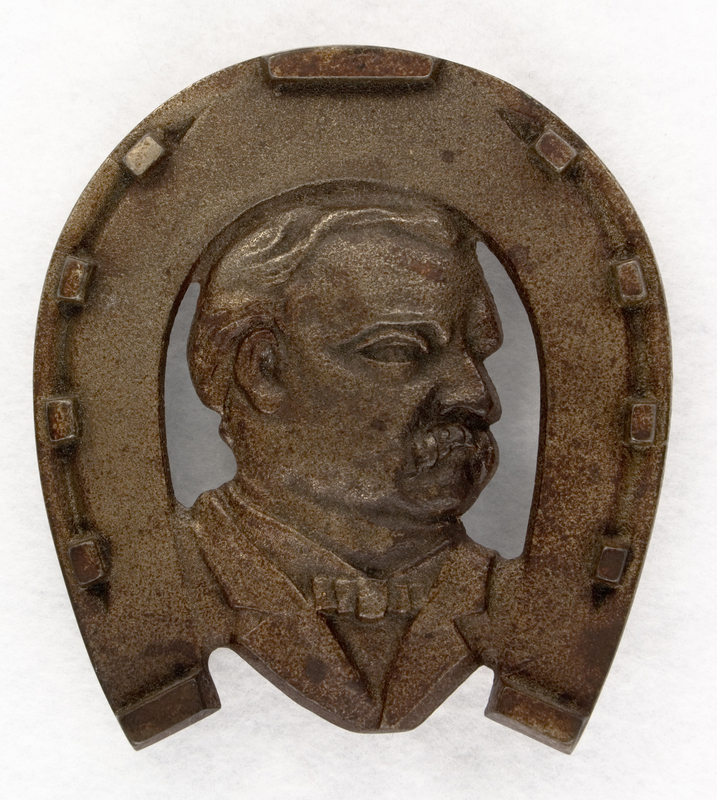 Grover Cleveland was the first Democrat to assume office since the Civil War, and the only president to serve two non-consecutive terms; both before and after the term of Benjamin Harrison. He’s also the only President to win the popular vote in 3 consecutive presidential elections, losing the Electoral College to Harrison in the second campaign. During his first term he presided at the dedication of the Statue of Liberty in New York City. Over his two administrations Cleveland earned the nickname “His Obstinacy” because he vetoed more bills than all prior presidents combined. Cartoon by Charles Lewis Bartholomew. Library of Congress, Prints & Photographs Division, LC-DIG-ds-05624. President Cleveland was no supporter of the women’s suffrage (right to vote) campaign, stating “Sensible and responsible women do not want to vote. 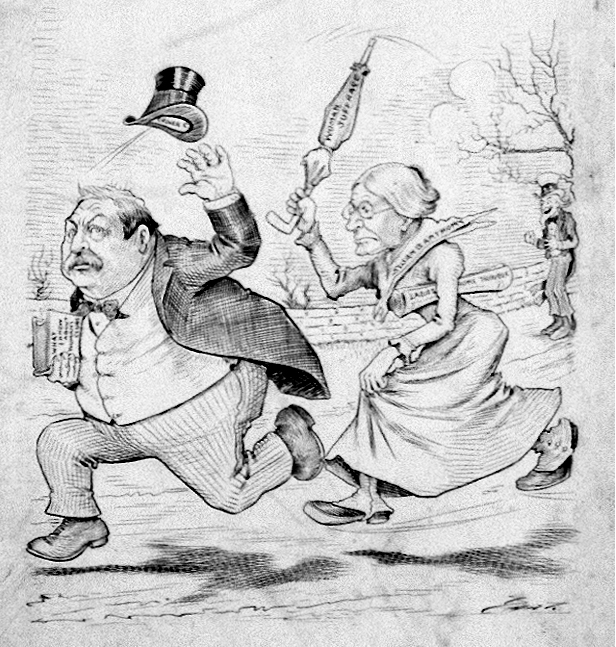 The relative positions to be assumed by man and woman in the working out of our civilization were assigned long ago by a higher intelligence than ours.” This cartoon, published in the Minneapolis Journal on April 26, 1905, depicts Cleveland being chased by leading suffragette Susan B. Anthony. He’s holding a book titled “What I Know About Women’s Clubs” while she’s brandishing a “Women’s Suffrage” umbrella; and yes, that’s Uncle Sam in the background. President Grover Cleveland, 1903. Library of Congress, Prints & Photography Division, LC-USZ62-124416. This entry was posted on January 20, 2017 by Lynn Rosack in Antique Trivets & Stands and tagged cast iron, Horseshoe Plaque Trivet, President Grover Cleveland.